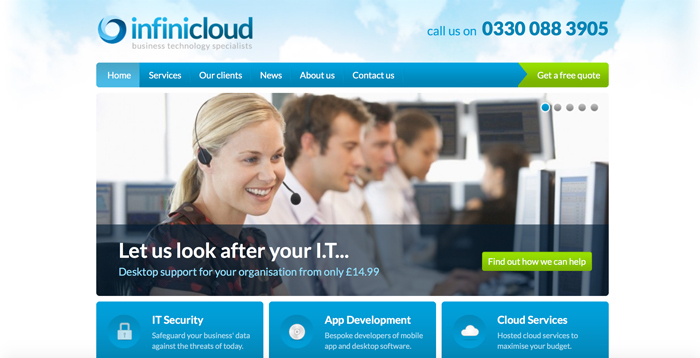 Infinicloud are a start-up specialising in IT solutions for business from telephony to managed cloud services. 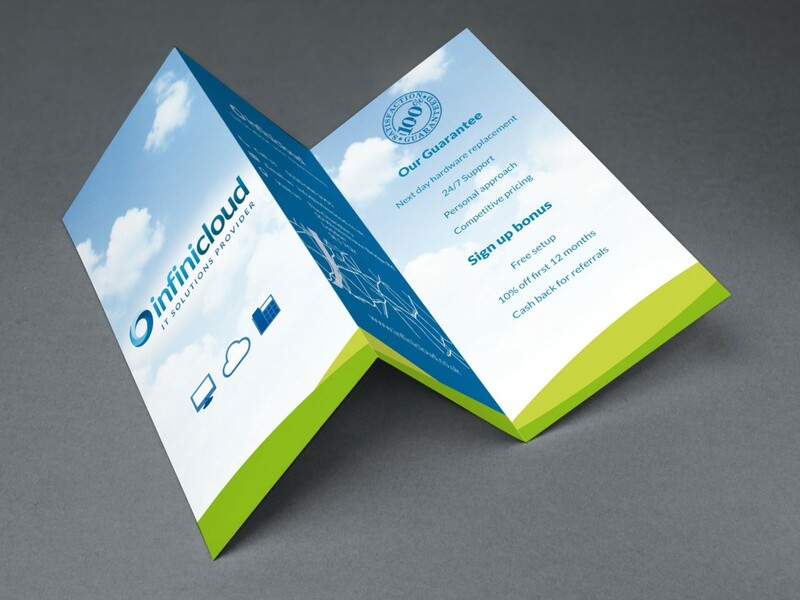 InfiniCloud contacted Refresh Studios to commission a website. After meeting Ryan, we identified the company’s core services and based the website around them. The goal of the website was to get users to request a quote. We designed two different homepage routes which gave the company a choice of direction. After feedback from the client, we produced a final homepage design, taking the best elements from each concept. The design featured a large slideshow to showcase the core services and an area for client testiminials.